Full Color. Perfect Bound. 130 pages. Login to snag your member price. 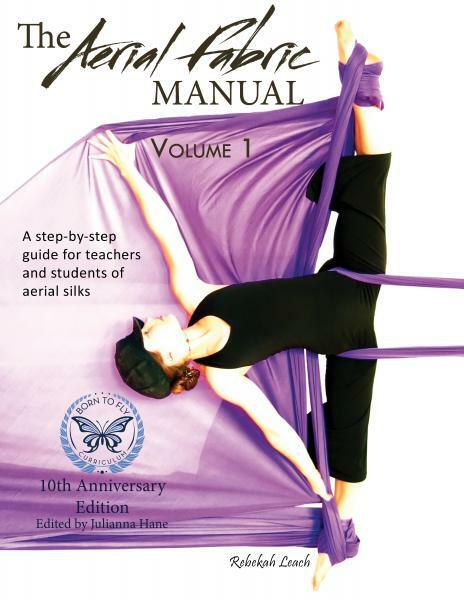 In the Aerial Hoop Manual Vol.2 there are over 1000 pictures in this beast of a book. 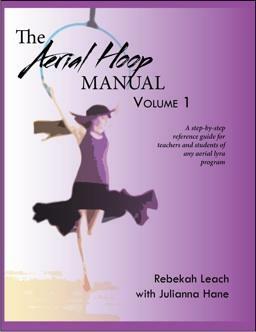 Study advanced ways to move under the hoop with classic moves such as meathooks, heel hang and toe hang. 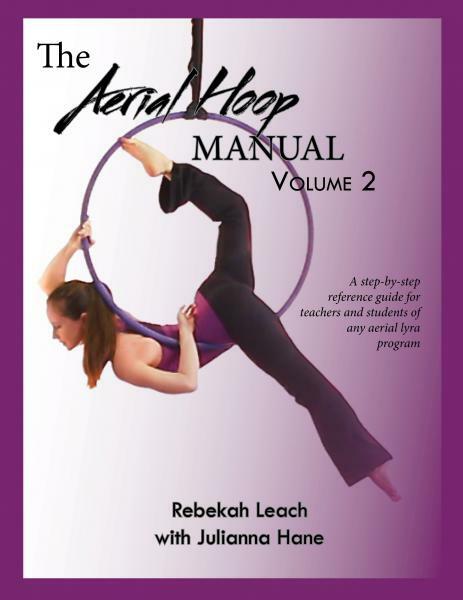 Hone your technique of the shoulder stand and splits all around the hoop in chapter two. 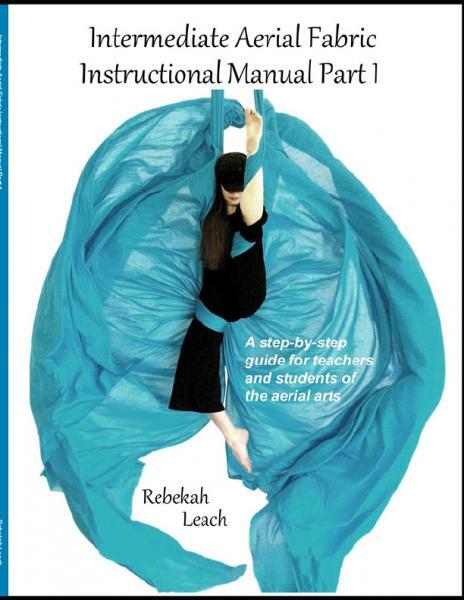 Throughout the manual learn more about aerial theory and the big picture of how moves relate to one another in the "about this move" descriptions that accompany every move. 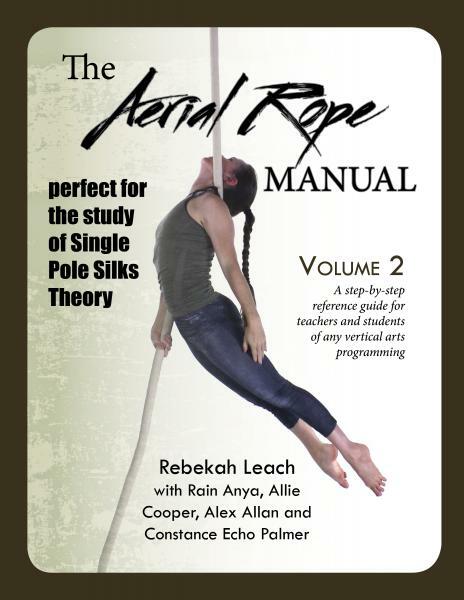 There are chapters specifically dedicated to single point lyra and double point. 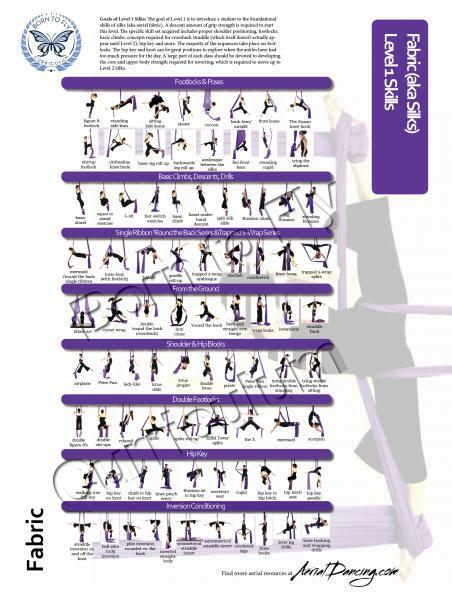 In those chapters, you will learn the unique set of moves that can be done with one or two rig points, respectively. Once you have those moves down, turn to the chapter on transitions for fresh ideas on connecting the puzzle pieces. 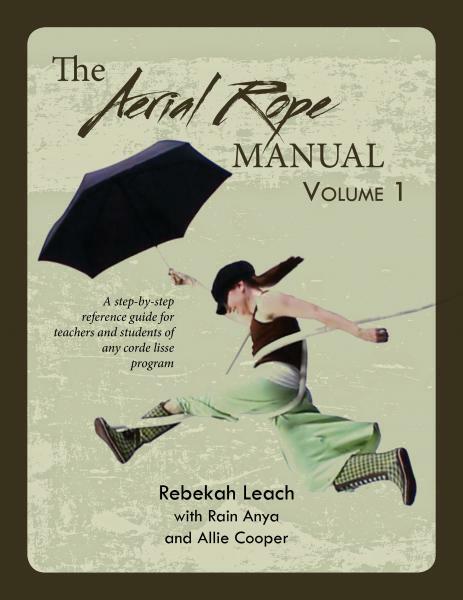 Bonus material in the book includes tips on spotting and the last two chapters introduce you to partner work. 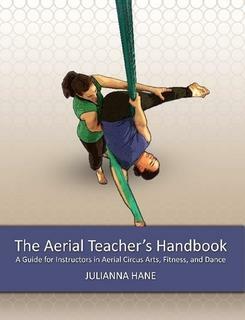 These chapters cover mirroring, stacking, weight sharing and more. 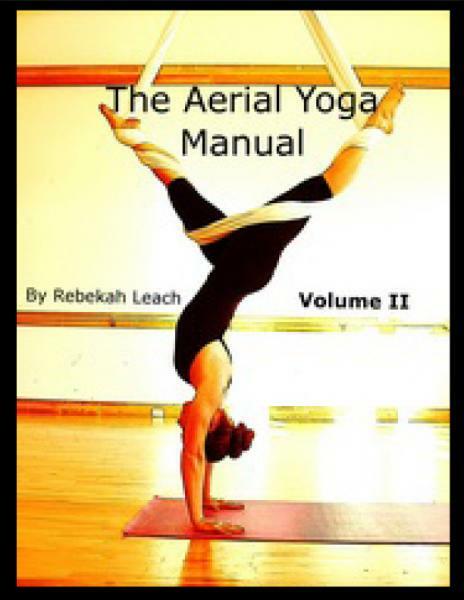 They have a different color layout and are easily distinguished from the rest of the book. 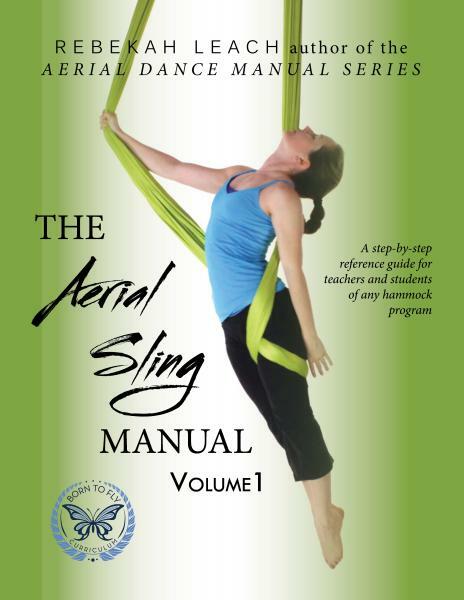 Be inspired to create your own choreography, solo or duets, on this beautiful aerial apparatus. 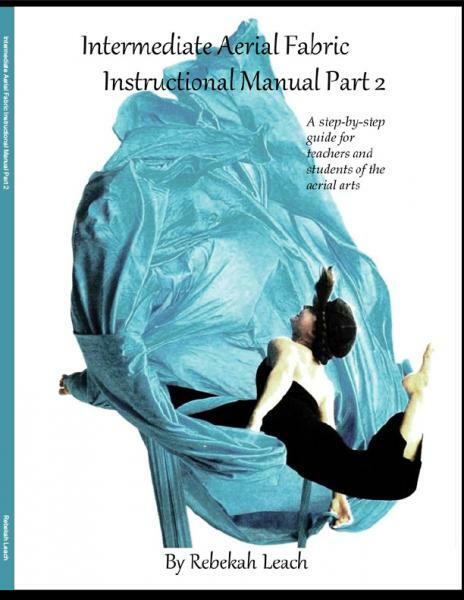 This book is artistically and beautifully done. 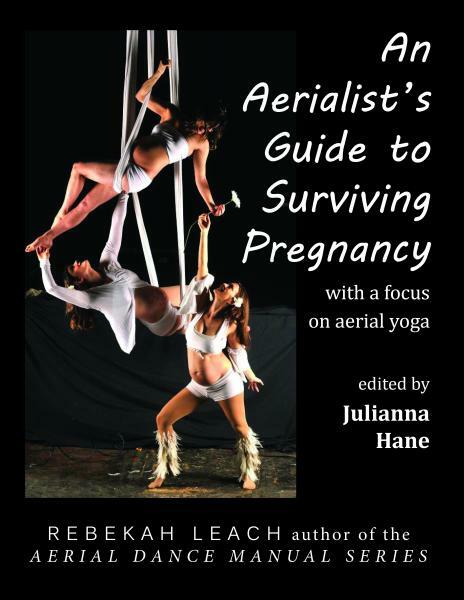 In this book that includes more text and more in-depth descriptions and more color than any book yet written by Rebekah Leach, you will find aerial hoop beauty on every page. 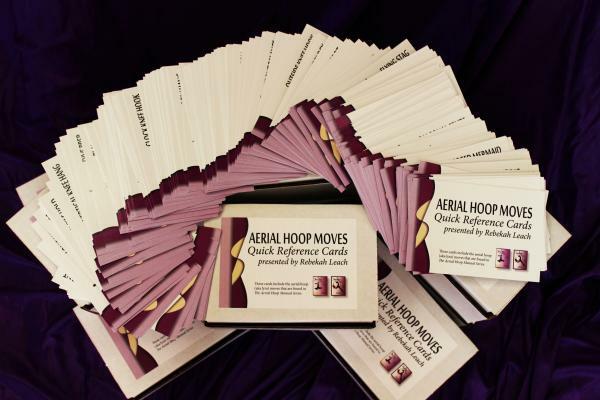 Expect 5-10 business days for your books to arrive for domestic orders. If you would like it faster, send us an e-mail and we will invoice you for the additional shipping charges.